Cooper Industries Greengate® 3-Button room controller wallstation in white color, has voltage rating of 24-Volt DC. 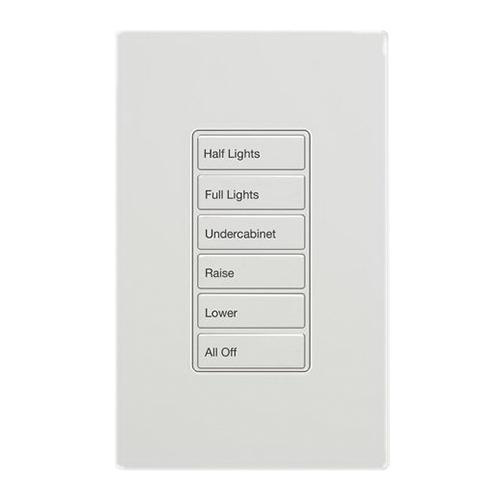 It offers low-voltage control for ON/OFF and dimming loads. Wallstation has Zone 2, Raise and Lower button engravings. It has Click & Go ready RJ45 QuickConnect ports that eliminate wiring errors. Wallstation is suitable for multi-way control and is perfect for indoor use. It measures 4.75-Inch x 3.25-Inch. Wallstation withstands temperature range of 0 to 40 deg C. Room controller wallstation is cULus/UL listed.